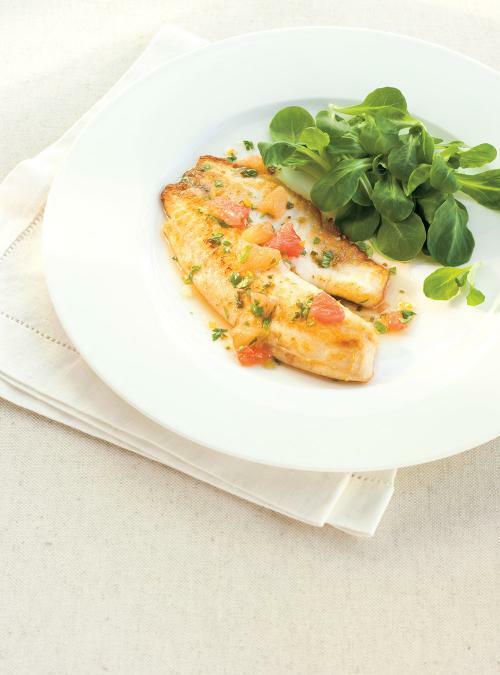 In a large non-stick skillet, fry the fish fillets in half the oil for about 2 minutes per side or until cooked. Season with salt and pepper. Set aside on a plate in a warm oven set at its lowest setting. In the same skillet, soften the onions and garlic in the remaining oil. Add the honey and cook for 1 minute. Deglaze with the grapefruit juice and reduce by half. Add the grapefruit and cilantro. Adjust the seasoning. 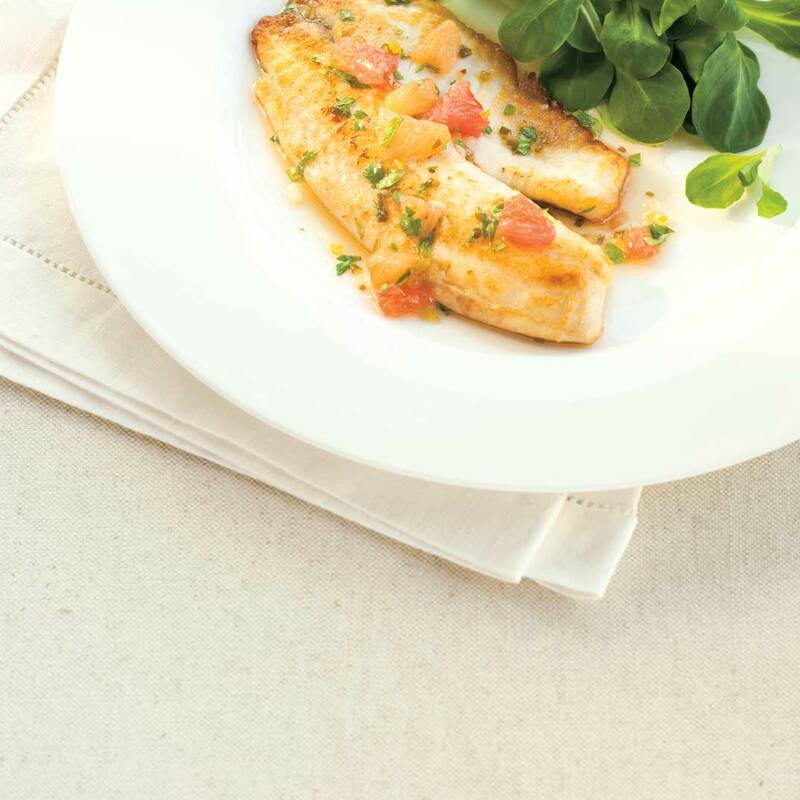 Serve the fish with the lamb’s lettuce drizzled with the warm dressing. Serve with baby or fingerling potatoes, if desired.